A new tweet from tipster Evan Blass reveals renders of both the Samsung Galaxy S8 and Samsung Galaxy S8+ in three different colors. The trio of hues include Black Sky, Orchid Grey and Arctic Silver. The official color options should be announced on March 29th when Samsung unveils its new flagship phones, making them public for the first time. 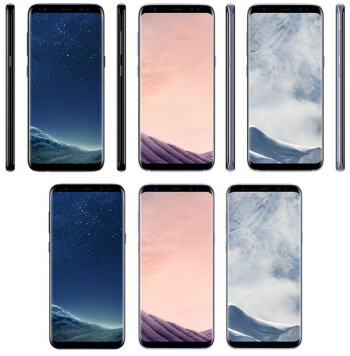 The eagerly awaited Galaxy S8 and Galaxy S8+ are expected to be launched on April 28th. 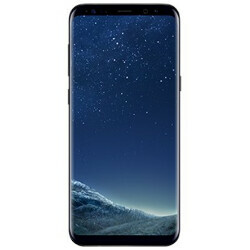 The latest rumored specs for the Galaxy S8 include a 5.8-inch Super AMOLED display with a resolution of 1440 x 2960. Powering the device will be the Exynos 8895 chipset, or the Snapdragon 835 chipset. Both feature an octa-core CPU. 4GB of RAM is inside along with 64GB of native storage. For those seeking additional storage, a 256GB microSD slot is available. The 12MP rear-facing camera carries an aperture of f/1.7, PDAF laser focus and OIS. The front-facing 8MP camera shoots selfies and handles video chats, while equipped with an aperture of f/1.7. Keeping the lights on is a 3000mAh battery, and Android 7.1 is pre-installed. The Galaxy S8+ will have the same specs except for a larger 6.2-inch display and a 3500mAh battery. Both models will come with a fingerprint scanner, an iris scanner and there has been talk about using facial recognition to unlock the phone and verify identity.